Jiaxing ANK Metal Products Co.,Ltd. (brand ANK) was established in 2008, located in Haiyan Country, Jiaxing City, Zhejiang Province, P.R.China. Zhejiang Province is a well-known production base of miscellaneous hardware accessories in China. Our Company have about 50 employees and owned our plant,its production capacity of more than 10 million pieces per year. 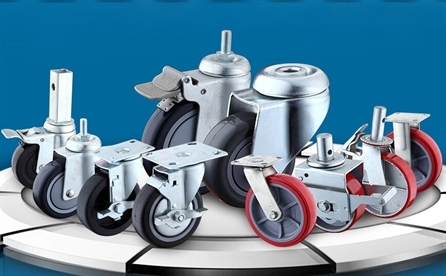 ANK is a professional manufacturer which skilled in producing Furniture wheels, Industrial casters, Medical caster, Heavy duty casters and Hardware accessories. Industry advanced equipment and skilled workers assure our products have a good quality. And we widely acclaimed in both domestic and overseas market. We never deal in inferior quality caster wheels as reputation and brand is the foremost asset for us. On the other hand, we also care about the safety of your labors. A poor quality caster wheel can cause an accident inside the working area. Many manufacturers take risk of selling such wheels, but we don’t compromise with the quality and that’s you can trust us for high-quality wheels.